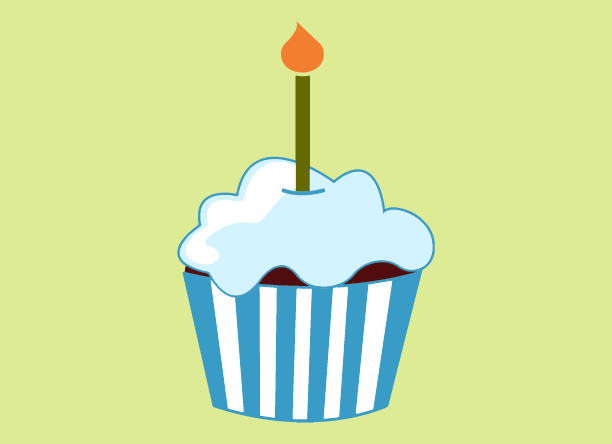 We’re celebrating our fifth birthday! When Pidoco started in 2008 the company was still just a team with a vision and a prototype. Then came our first product version, which we totally re-engineered after receiving feedback from test users (Pidoco wasn’t around yet, otherwise we might have avoided this extra loop). We launched after a beta phase in late 2008 and immediately had paying users on the platform. Today, five years and many releases later, our team has grown and so has our user base, which extends to over 50 countries around the globe. Tino: We wanted to have the freedom to choose who we worked with and to cut out the complicated processes that can happen with the bureaucracy of a large company. Philipp: For me it wasn’t about becoming an entrepreneur or not – it was about doing something that I feel passionate about. As an entrepreneur I have the opportunity to do exactly that and to really make a difference. That’s why I am happy that we founded Pidoco. What was it about Pidoco that made you want to start a company? Silvan: In reality we had about four ideas we could have gone with. One was a diagramming editor, I think another was a dashboard for organizing tasks, but when we started to do the market analysis, it seemed right to go with a prototyping tool. It was also the one idea we all agreed on, which was the most important thing. What has been the biggest challenge since founding Pidoco? Silvan: Building up an amazing team. You don’t just want to have good people, you want great people. Also finding time for Kuchenfreitag, where we eat cake and someone gives an informal presentation on any topic they want. At the beginning, it was really difficult to say “It’s Friday, we need to take a break”. Volker: The next challenge is always the biggest. You never know what you’re going to be up against. At the time it always seems like a massive hurdle, but you always overcome them. What have you learnt from Pidoco? Philipp: I’ve certainly learnt an awful lot about dealing with bureaucracy, accounting and many other things. But one of the most crucial things was that even in such a fast-paced environment as a start-up you shouldn’t try to do too many things at once. Focusing on the essential things is important for success. Silvan: Everything takes time and you really have to be patient. Also you have to learn to delegate to others. Tino: I think it’s really that we’ve managed to keep our vision and company culture all this time, even with so many changes. Philipp: One of the most dangerous things for a young company is that the founding team breaks apart. I’m very proud that our entire founding team as well as our first employee are still on board and continue to drive our company. If you could add a feature to Pidoco, what would it be? Volker: A “generate application now” button, because I know that is practically impossible. The processes that happen between making a prototype and deploying a finished application can’t be replaced by a machine. Silvan: I would make a feature that would solve all usability bugs. That would be amazing. Silvan: I have weekends now? I can sleep at night? We don’t know every customer personally any more, but we know the names of their companies now – and some of them are big companies. Tino: I think we’re still a startup in some ways. If you want to get something done around here, you still have to do it yourself. We want to thank everyone who has supported us over the last five years and we can’t wait to see what the next five years holds for us.